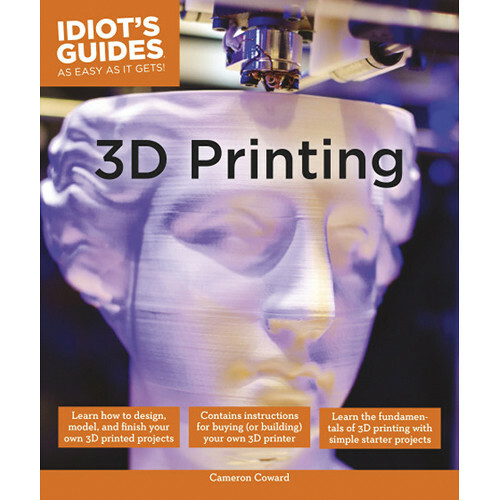 The Idiot's Guides: 3D Printing from DK Publishing and written by Cameron Coward is a book that takes the true beginner through all the steps necessary to design and print whatever their imagination can conjure up, including parts, artwork, or even another 3D printer. Readers will learn all the essential basics of 3D printing including materials, parts, software, modeling, basic design, and finishing, and then be able to apply their new skills to the next level to print some simple, fun projects. For readers not interested in building their own 3D printer, there are tips and advice for buying a manufactured printer, buying materials, finding plans and projects online, and much more. Box Dimensions (LxWxH) 9.15 x 7.65 x 0.8"